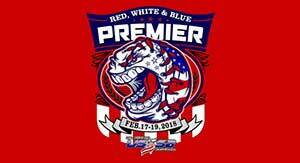 The USSSA Red White and Blue Premier Challenge Tournament is held in Las Vegas, Nevada in which Team BLE will be entering a team(s) in the 14U & 16U Division that will play on a full sized diamond. 14U Division Players must be born after May 1 of 2003. This BLE event will include pre tournament workouts in Las Vegas prior to the tournament, February 15 – & 16th followed by the tournament being held from Saturday, February 17 – through Monday, February 19th. 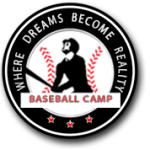 Coaches will include Major League scout (Milwaukee Brewers) and former Canadian Olympic team coach Marty Lehn, five time World Series Champion and former MLB catcher and coach Bob Didier, 12 year major league pitcher and World Series winner Albie Lopez, Okotoks Dawgs coach and former Professional pitcher with the Florida Marlins Joe Sergent, Seattle Mariners scout and Vauxhall Academy Head Coach Les McTavish, along with Special guest coach in two time MLB all star Shea Hillenbrand.